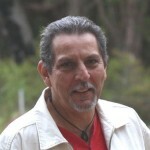 Glenn Albrecht is Professor of Sustainability at Murdoch University in Perth. He is a transdisciplinary philosopher with a focus on the intersection of ecosystem and human health. His concepts of “solastalgia” and “solaphilia” are now widely applied in academic contexts and have also inspired creativity in art, literature and music.